A warm welcome awaits you at Warcombe farm campsite. We invite you to relax in our landscaped campsite, with outstanding panoramic sea views. Our site is nestled between the villages of Mortehoe, Lee and Woolacombe and is close to the town of Ilfracombe. An ideal location for all those looking to be caravanning and camping in Devon; the pearl of the South West. At Warcombe Farm we offer a variety of pitches to suit all tastes and tent sizes, carefully maintained by our experienced ground staff. We strive to make sure your pitch is right for you so that you can start enjoying your holiday straight away! We are well known for our fantastic toilet and shower facilities which are kept spotless, even in peak times. Our facilities include underfloor heating, spacious shower cubicles, family rooms and cleaning facilities including dish washing and a laundrette. Surrounded by the beautiful North Devon coastline, coastal paths, local villages and national treasures are never far away. 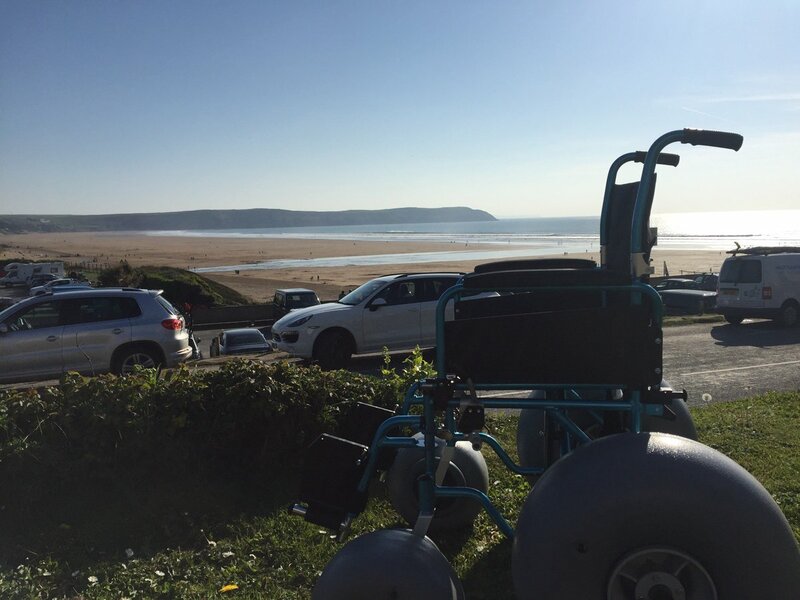 Warcombe Farm is on the doorstep of Woolacombe Bay and Croyde, both being popular with surfers and families alike. If you are looking for a Devon Campsite for your camping holiday in Devon, then why not visit us and enjoy your Devon holiday in ideal surroundings. Throughout our website you should be able to find a taste of what we have to offer but if you have any questions remaining to not hesitate to contact us. We have fantastic camping facilities, including the luxurious shower and toilet blocks, of the highest quality and including; Under floor heating, Luxury showers and washrooms, Toilets and hand basins, Family shower room, Disabled shower & toilet, Chemical waste disposal, Motor home waste disposal unit, Launderette – including washing machines, tumble dryers, spin dryers, ironing facilities & deep sinks, Drying room, Washing up & vegetable preparation area. The campsite has been carefully and thoughtfully landscaped, and attracts a huge variety of wildlife, including buzzards, snipe & brown hares. In the summer evenings, house martins visit the fishing lake, diving for insects – the water attracts many sea birds, and each year mallards nest on the island. We are very proud to have been awarded the David Bellamy “Gold Award” every year since 1998. The nearby dog-friendly and stunningly beautiful coastal paths and Exmoor National Park are full of natural treasures and local villages offer an inviting welcome to all. The campsite is ideally situated to explore many attractions that the North Devon area has to offer. 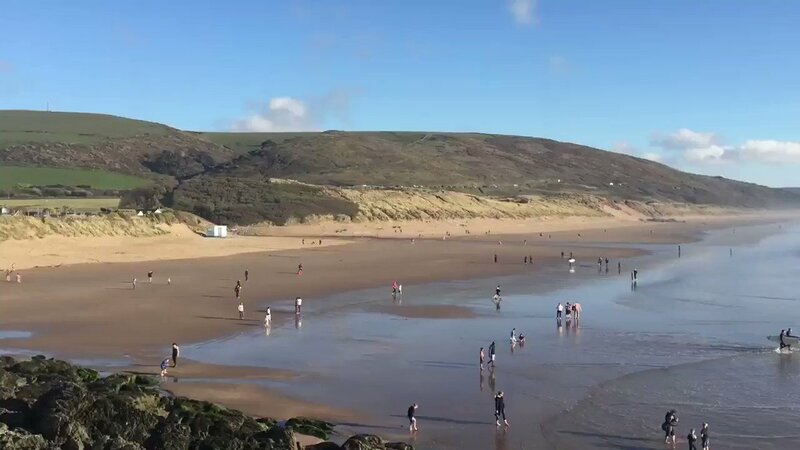 Combine this idyllic rural contentment with easy access to a number of local beaches, including Woolacombe Bay, with it’s “Blue Flag” status – popular with families. If you enjoy surfing then Woolacombe, Croyde and many others can offer you a challenge. “What a great site. Lovely pitches hidden within a luxurious foliage of trees and shrubs with or without electric hook ups. New playground for the children and wonderful lake where we caught 12 fish with just sweetcorn for bait! “My family and I stayed here for our 1st time over the August Bank Holiday, from first impressions to the point we packed up and left .. we thoroughly enjoyed it. The lay-out of the whole camp site works, the staff are welcoming and professional, the main facility block was immaculate, the dog walk/conservation fields were relaxing, scenic and educational for my girls. From our pitch we had stunning views of the rolling Devon countryside and the Sea, which was amazing to sit and stare at whilst having breakfast and evening meals. Our pitch also had its own water supply, bike racks, BBQ stand, Picnic bench and lighted electric point and was of a good size – all of which made things that little bit easier and much more enjoyable. 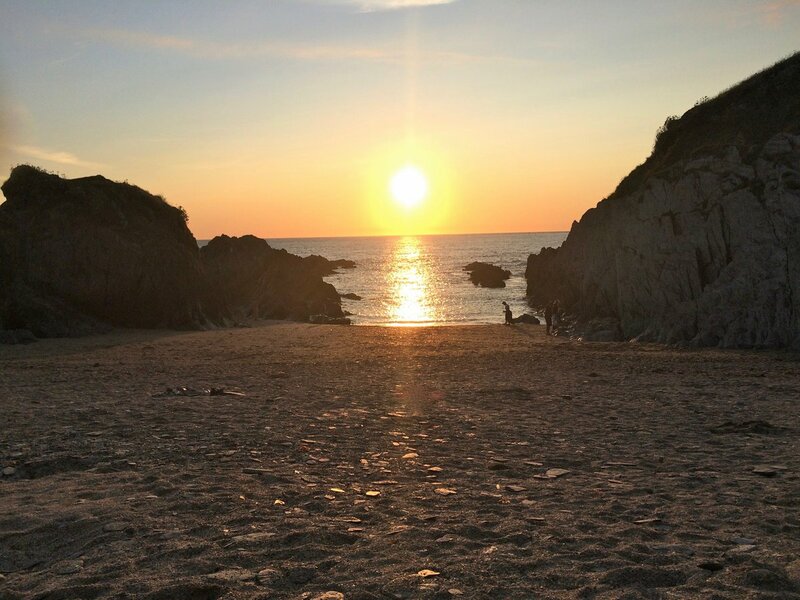 The camp site is perfectly located with easy access to the Stunning Mortehoe and Woolacombe bay. “We visited this site this last weekend. Extremely impressed with the toilet block – we’ve visited quite a few ‘top end’ sites and have never seen such a fantastic clean heated block with free hot showers. It would shame a posh London hotel. The site itself is close to a number of excellent (and not too grockly) beaches – it is clean, well spaced and the caravans look down on a very attractive lake, with the sea in the background. “Just got back. What a great site. The shower block is a good as it gets. The tent pitches are spaced and landscaped to give a really nice atmosphere. The staff were really welcoming and helpful and it does have a great family atmosphere. It is very likely we will go again. .. with the family and could not have wished for a better start. The site is very clean and well maintained with super shower and toilet facilities. Easy to get to and find. Staff were very friendly. Price is excellent, and serviced pitches available. All in all an excellent start to our ‘camping holidays’, and a site we will definitely be revisiting. “They’ve invested some serious money into this site, and it definitely shows. Very clean, fantastic wash room facilities and really friendly. We were there during that really, really windy, stormy, rainy week in early July (thanks to the on-site warden for helping out with anchoring and restructuring a now half-dome tent!) – the site is pretty exposed, but get to the bottom of the field and seek shelter in some of the tucked-away parts. “We spent a week at Warcombe farm and had a fantastic time. Our pitch was at the bottom of the site, surrounded by trees and shrubs giving plenty of privacy. The shop was well stocked with a calor gas refill being half the price we paid for one at outdoor action!!! Shower block fantastic, although we were at the far end of the site neither us or the 2 small children felt the need to travel to them in the car!, a few people did. “Good site, very reasonably priced too. The new shower block is amazing although they could do with an extractor fan as it got extremely hot and steamy. We stayed when the weather was very bad and the site did get quite water logged and muddy where everyone drove to and from the toilets. The first half of the site is very exposed to the weather and has a great view, past the lake there are some trees and bushes to shelter you. 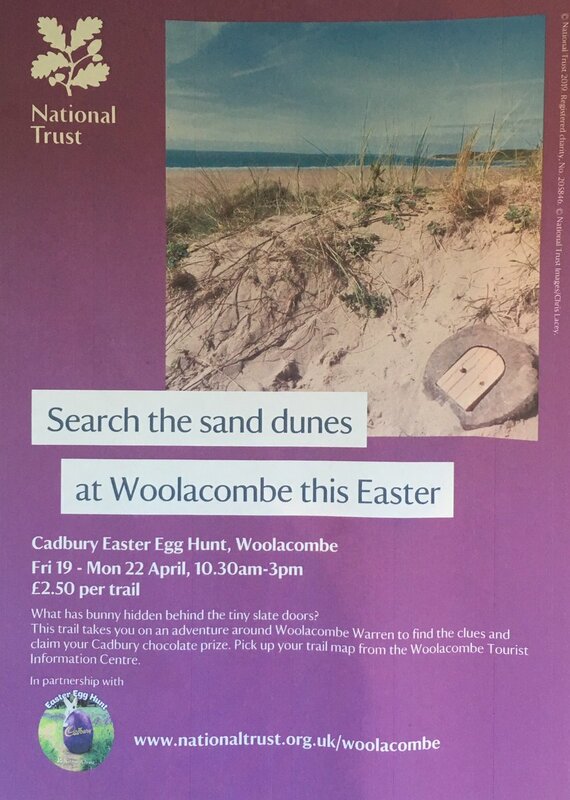 It’s very close the to both Mortehoe and Woolacombe beach. “Had a really good stay during really bad weather. Everyone who works on site is very friendly and seem to enjoy what they do. A few problems with pitch allocation but these were put right with the minimum of fuss and in a good humoured way. Great site with good clean facilities. “The views across the bay to Lundy island are lovely. Nice walks near by – Mortehoe excellent pubs and fish and chip shop. Good things to do near by and beaches too. “1st stay at Warcombe farm and after staying at plenty of other sites, feel we can state without fear of contradiction that without a doubt this is the finest site we have ever had the privilege to pitch on. Superb facilities. Loved it so much that not even the weather could dampen our spirits, says everything that we are going back next year in June can’t wait. “We have just returned from a weeks holiday and must say I agree with everyone about the campsite, it is very nice and the showers are superb. We found the shop to be very basic and expensive, not even selling newspapers. This is a very friendly, well run, very tidy caravan site. The staff were very accommodating, and the shower block facilities were as good as any you would find in a top hotel. Absolutely breath taking views, with plenty to do and see. Easy to get to the coastal walks and footpaths. 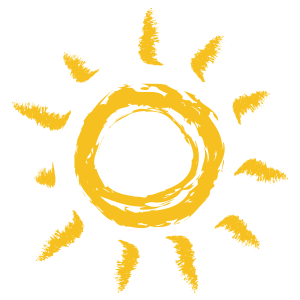 To keep up to date with Warcombe Farm, like our Facebook Page & Follow us on Twitter!